R2P Advanced Management of Post-Concussion Syndrome outlines the R2P PATH, an evidence-based approach to concussion rehabilitation. Participants will learn to apply key principles of sub-symptom threshold progressions to vestibular, visual, and exercise therapy. Assessment and management of post-traumatic headaches will be reviewed using a unique algorithm. Current state of evidence on neuroimaging and nutrition will be explored. Learning will be consolidated through small group work and case studies. What is the role of advanced neuroimaging techniques in the diagnosis of concussion? Can a blood test predict recovery? Learn to differentiate types of post- traumatic headache using an evidence-based algorithm and standardized history taking. Understand how to apply best practice treatment techniques. What is the impact of sleep-wake disturbances on recovery? How do you assess sleep disturbances? What are recommended treatment techniques? How do you differentiate between cognitive and physical fatigue? Learn best-practice management strategies, including planning and pacing. acupuncture, hyperbaric oxygen therapy, and neurofeedback for the management of post- concussion symptoms? Are nutritional supplements effective? Learn to prescribe sub-symptom threshold aerobic exercise to manage autonomic dysfunction through practical application. Learn to apply advanced therapeutic exercises for vestibular and visual dysfunction using stepwise progressions. Design individualized treatment programs based on symptom profiles through small group work. Consolidate learning through discussion and case studies. 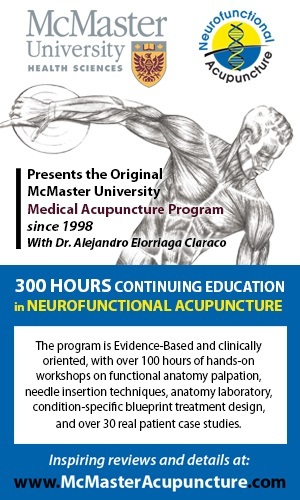 This course is appropriate for Physiotherapists, Athletic Therapists, Chiropractors, Occupational Therapists, Kinesiologists, and Physicians.